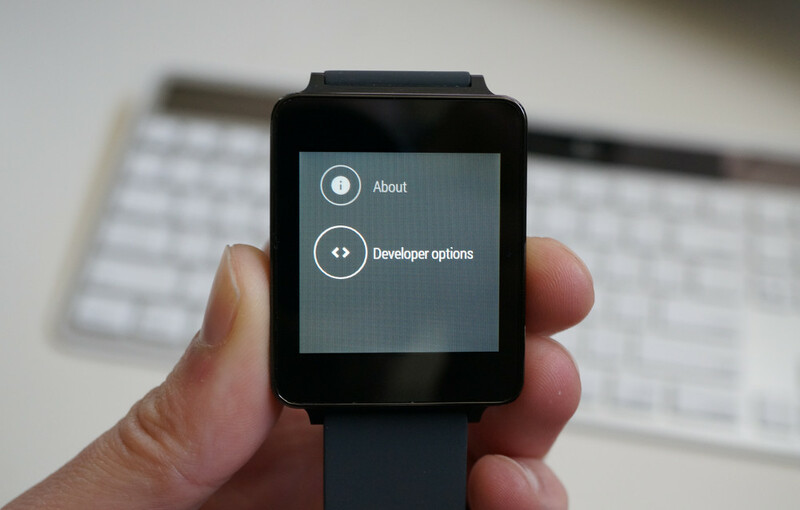 What kind of Android device would an Android Wear watch be without the ability to enable developer options? Not much of one, that’s for sure. Thankfully, you can enable developer options and ADB debugging pretty easily, just like you would on a regular Android phone or tablet. Once you have ADB debugging setup, you can do fun things like take screenshots, unlock the bootloader, think about rooting your Android Wear watch, and almost anything else that comes along, like a ROM (yes, there are ROMs for these watches already). Say “OK, Google” to your watch, then “settings” to bring up the settings menu. Scroll down to About, and tap on it. Find the build number and tap on it multiple times. A countdown will tell you that you are becoming a developer. Once tapped enough, you will unlock the developer options menu. Swipe back once (a swipe to the right) and you should see a new option under About for Developer options. Find ADB debugging, tap on it, then tap the green check to enable it. You are now a developer of Android Wear, sort of.